Distracted driving, speeding, traffic jams, and inclement weather are just a few of the factors that may contribute to a car crash. However, a car accident can also occur when and where you least expect it; on a side street or in a parking lot on a beautiful, sunny day. Head-On Collision. This type of collision occurs when the front ends of two vehicles impact each other, causing serious vehicle damage and severe, often fatal, injuries. Crossing the center line or driving the wrong direction on a roadway are common causes of head-on collisions. Rear-End Collision. If a driver slows down suddenly, or if a driver is following too closely behind another vehicle, a read-end impact may occur. When one vehicle hits the rear end of another vehicle, the driver and passengers of the impacted car can experience whiplash, a type of muscle-related injury often associated with this type of accident. The driver of the car that rear-ended the other vehicle is almost always at fault in a rear-end collision. Side-Impact Collision. Sometimes referred to as “T-bone” or “broadside” collisions, side-impact accidents occur when the side of a vehicle is hit, either by another vehicle or a stationary object such as a tree, pole, or building. 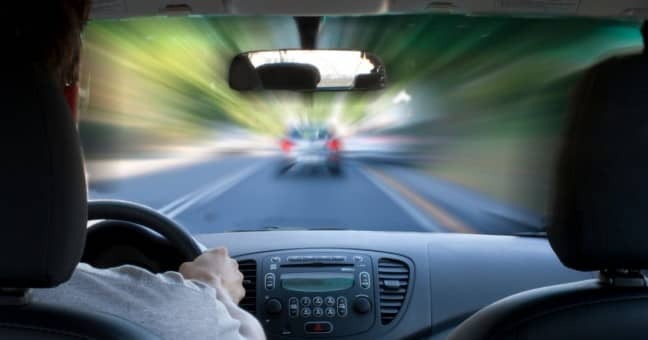 In these types of accidents, damage to the vehicle is often severe and drivers or passengers on the impacted side of the vehicle often sustain serious injuries such as broken ribs or skull fractures. Vehicle Rollover. Often caused by turning sharply at a high rate of speed, rollovers occur when a vehicle flips over onto its side or roof. Any vehicle can be involved in a rollover accident, but cars with a higher center of gravity, such as SUVs, are especially prone to this type of accident. Rollover accidents can lead to serious injuries, including spinal cord injuries and brain trauma. Single-Car Accident. This common type of accident occurs when a vehicle strikes an object such as a pole, tree, embankment, or wall. In some cases, pedestrians are the unintended victims of single-car crashes. These types of collisions can result in injuries to drivers, passengers, and pedestrians, as well as cause extensive property damage. Multi-Car Accident. Multi-vehicle collisions can involve an indefinite amount of vehicles, and are oftentimes called “pile-ups.” This type of accident occurs more frequently on busy highways and freeways, with vehicles often being impacted more than once during the course of the accident. Hit-and-Run Accidents. Perhaps the most criminally negligent type of crash, hit-and-run accidents involve a driver fleeing the scene of a collision for which they are at fault. Because hit-and-run drivers leave the scene immediately following the crash, it can be very difficult to determine the identity of the driver at fault. With more than 30 years of experience, our law firm has worked with clients involved in all types of car accidents, including rear-end collisions, multi-vehicle pile-ups, and hit-and-run crashes.